Lounge 202 Party: Open to the Public! Get your tickets today!!! Are you ready to PARTY? If you made plans for this Friday night, it’s time to cancel them! This will be the hottest night of the summer! 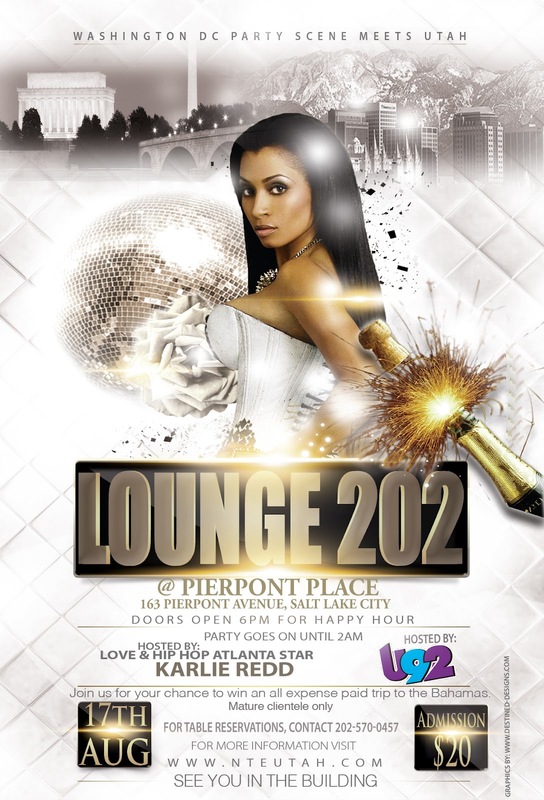 Come one, Come all to Pierpont Place for Lounge 202! Call 202-570-0457 or go to www.nteutah.com to buy tickets and reserve tables! Wrapping Up a Jolly July and Moving On To an Awesome August!! Mark and Josie Anniversary and Fundraising Party! Wow!! I’m also interested to make big parties and functions. I really liked this blog. I have also celebrated many parties in Los Angeles event space.